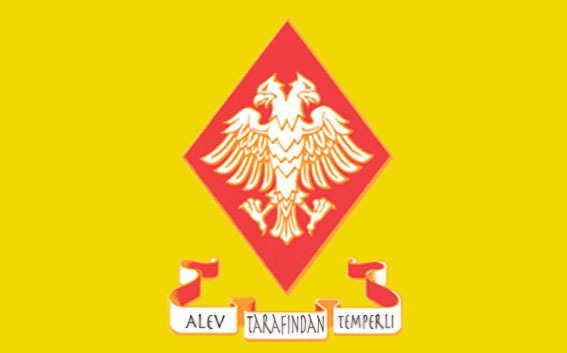 National Symbol: double-headed golden eagle on a gold field, with the motto of the Caliphate beneath. The Caliphate is one of the oldest lands in the world. The Caliphate can trace its history from the time when it was part of the great land known as Ophira. The three nations now known as the Caliphate, the Emirate and the Sultanate underwent a period of great war and strife, beginning in 1821 TE with the assassination of Caliph Fadil by the renowned assassin Hayalet. Hayalet was rumored to have been hired by nobles in the area now known as the Sultanate in order to seize control of the throne. What followed has become known in the time since as the Dust War, though at the time it was referred to as the Noble's War. Following many years of bloodshed, peace was finally established with the signing of the Tuzagi Contract in 1883 TE, following the defeat of Komutan Djoser and his forces in the area surrounding Tuzagi by Komutan Khalid, the leader of the military forces of what would become the Caliphate. This established the three lands of the Caliphate, the Emirate, and the Sultanate. This peace lasted for centuries, until the fall of Khodar-i-Gesh in 1182 RE to ghul forces, followed by the fall of the Emirate in 1208 RE, and the creation of the Crusader State of Marash el-Dahaka. The Caliphate has accepted the refugees from both nations, and is currently holding strong, though tensions are building within the nation. The Caliphate laws and traditions of determining a Caliph stem from Hukuk Kaydırma, a sacred text pre-dating even most accounts of history in the Caliphate. This extends back until such times as the thirty-one tribes of the steppes and sands first came together under one banner. The Hukuk Kaydırma states many things, including the way the land should be governed, and how the Caliph should be chosen and rule the land. The first Caliph was chosen by the thirty-one tribes, with the rule that the people may overturn his rule if they were not treated well. In turn, the Caliph selected his own successor and advisors, under the knowledge that the people may remove him through the advisors if they grew too discontent. Though this has always been the way, this forcible removal has only occurred once, during the Red Sand War in 2127 TE. Four of the six Royal Advisors are chosen from the common people: the Bakici, loremaster of the Caliphate; the Kader, the person in charge of all Caliphate ritualists; the Gida, head agriculturalist; and the Martaval, known as the Voice of the People. Once a month the Caliph holds a meeting with the Martaval to address the concerns, suggestions, and complaints of the people of the Caliphate. The other two Advisors are the Alsimist, chosen from the ranks of the Royal Alchemists, and the Komutan, who represents the Sand Spire and the Tower of Glass. The people of the Caliphate have some of the longest-standing traditions of all the nations in the modern world. Some of them stretch back to the the last age, or were started as a result of events in the last age. Duskers are a people of tradition, and their customs and rites reflect that. To go along with their customs, they have a smattering of widespread and ingrained superstitions as well. Some are for kindly acts, some are for strange occurrences, and some are for turning aside the works of those who wish them ill. These traditions, customs and superstitions are imprinted on most Duskers from birth. One of the things that sets the people of the Caliphate apart from other countries is that they live daily with the presence of those known as the Desert Screamers. These Desert Screamers are known as wise men and women of the desert, and can purportedly perform feats of high magic, channeling the powers of the sand and the flame. Others are said to become more like the cats that they revere. Most people within the Caliphate are peasants, working the land for the ruler of the land, or the noble of the nearest town. These rulers are usually known by the title Asil. Though the Caliphate listens to the advice of the people, to openly deny any of the edicts of the Caliph or his advisors is to invite punishment. Punishment in the Caliphate can be swift, and there is little to no justice system. Justice is uneven through the Caliphate, each Asil issuing their own rulings, with reports of treason escalated to the military advisor for crimes against the state. The military presence in the Caliphate is a strong one, particularly now with the refugee population, which can lead to a feeling of loss of free will. In order to keep the peace, any act of aggression is handled swiftly and harshly. Keeping the peace is difficult, particularly now that there are so many more mouths to feed, and the same amount of food (or less, from loss of trade) to feed them. For the first time in a long time, threats from the South and East affect the Caliphate, and a time of turmoil is at hand for the normally stable nation. The Caliphate is, above all, a land of order; when that order is threatened, the consequences can be dire indeed. The Caliphate is home to a large number of craftsmen, particularly alchemists and scribes. The cities of Khaldun and Bazmel attract many who wish to further their knowledge, gain in power, or just wish to be left to their scholarly pursuits. Many, however, ply their learned trades in various parts of the Caliphate, dealing often with those from the Hulder. The scribes from Khaldun and the alchemists from Bazmel are sought out by nobles within the Caliphate, and often those from without as well, especially those in the Principalities wanting to gain the upper hand in some struggle or other. Some of these craftsmen are drawn to the guilds, as well. The nobles and the Caliph generally get along, with any argument being settled in the Caliph's favor. The might of the Sand Spire is strong, and nobles rarely risk the ire of the Caliph or the spears of the Tower. However, with the current difficult times, and the possibility of aggression from two different fronts, the nobles test the limits of the Caliph's control. Words of dissent are whispered in the night streets and in the taverns and inns. Warriors in the Caliphate, almost without exception, attend training at the Tower of Glass, one of the world's only military academies. Warriors come from all over the world to study at the feet of these masters, and learn a style said to exist since time beyond memory. The academy itself is formally known as the Tower of Glass, though most call it the Sand Spire, after the name the warriors use for themselves. Most of these students end up serving in the Caliph's military, lending their spears, glaives, shields, and halberds to the defense of the nation. These Sand Spire warriors are fiercely competitive, and boast of their skills and exploits in battle. This pride has led them to seek out others they deem worthy of competition. As a result, relationships with Gaunt have opened up, with friendly, but fierce, competition of arms taking place between the two nations. Of all of the lands to the West, Gaunt is the most amiable to the Caliphate. However, this burgeoning friendship has further strained the tense relationship between the Redwood Throne and the Caliphate. The majority of the Caliphate is not religious in any sense they would consider. If pressed on their beliefs, most would say they believe in the glory of the Caliphate for time without end, and that they wish to continue to be a part of its eternal glory. They name the Caliph both in their blessings and curses, along with the Molten Sheik, sometimes referred to as the Sheik, the Great Sheik, the Fiery One, the Prophet, or any derivation on that theme. There are no true rites or practices that the majority of the people in the Caliphate follow, save the Blessing of the Sheik. Most believe that the Molten Sheik waits for them in the afterlife, waiting for them to join his side, should they prove worthy. The unworthy are sent to atone for their lives by serving the people of Akathia until their spirits are ready. There are those that treat Ghaliya someone worthy of prayers and attention as well. Some people utter such prayers as "Ghaliya have mercy upon me," "May Ghaliya forgive me," or the like. There are no churches or places of worship for the Molten Sheik or Ghaliya. No sacrifices or offerings are made in their honor. Instead, the people of the Caliphate try to live their lives so that Ghaliya and the Molten Sheik would be proud to have the newly dead by their side. If Duskers ask them for strength and guidance, who can blame them? The Desert Screamers follow a form of traditional ancestor worship associated with their rites and powers. Little is known of the inner workings, and then only by the lorekeeper. It is unlikely they would share their beliefs and rituals with anyone outside of their organization. It is said that the Desert Screamers often go on "vision quests" when seeking guidance or answers. People have heard rumors of a place called "The Courtyard of Making" being mentioned by the Screamers in relation to their spiritual journeys. The few accounts of people witnessing the Desert Screamers returning from such a quest describe them as having "eyes that have seen what is not meant to be seen" or "having the angry pink of new scars slashing across their skin, only to watch it fade before us." Truly, none can know the rites and ceremonies of this reclusive and secretive group without becoming a part of them. The one group that could be considered religious is the Sand Spire, practicing out of the Tower of Glass, sometimes just referred to as the Royal Academy. Members of the Sand Spire are indoctrinated with the poem "Bu Alev," which chronicles the life and trials of the Molten Sheik. Each member of the Sand Spire is made to recite sections of the poem as they practice their tactics and maneuvers, as a mental exercise in discipline and skill. It is common for these chosen sections of the poem to be painted or inscribed on the shields of Sand Spire warriors. The practical result of this is that members of the Sand Spire give thanks to the Molten Sheik and his glorious light of the heavens. They recite sections of the poem for many occasions, often using lines before eating meals, entering combat, the death of a friend, the death of a foe, and even at marriages or other ceremonies. The poem is a way of life that helps them to fight their battles and follow a code of honor. These lines often adorn their armor and weapons, and all of the Sand Spire undergo a journey to create their own personal Chest of Atonement before they may reach the rank of master within the school. The Sand Spire celebrates two holidays dedicated to the Molten Sheik: Revelation Day the Day of Ashes. These started off as holidays for those that serve in the Caliph's army or attended the Tower of Glass, but in time, they spread to the rest of the Caliphate. The Sand Spire also holds a great feast each year to celebrate the life of their founder, Shihab Kaya. This is a day of feasting, drinking, and brotherhood. This feast occurs at the end of the fall each year. During the holidays dedicated to the Molten Sheik, people often wear clothes of brown, yellow and red. 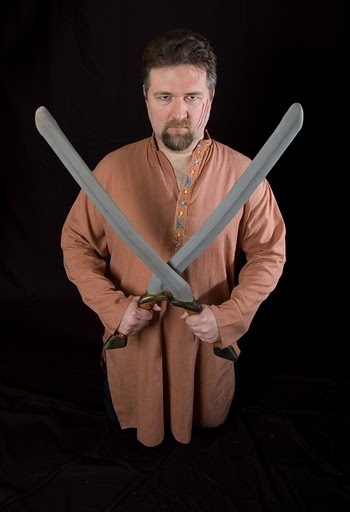 Many have shirts, tabards and patches displaying one of the symbols of the Molten Sheik. The two symbols most often associated with the Molten Sheik are a crown wreathed in flame, or an urn with a picture of a mountain on the side. The colors of these symbols are browns, reds, and yellows. What makes the Caliphate great? The Caliphate is by far the most stable of the nations. The line of caliphs have served their nation well, and listen to the people concerning their decisions. The nation has faced relatively few threats, either internal or external, and life for the average person in the Caliphate is not as hard as it is in other nations, Tarsikka for example. The Caliphate is by far the most open when it comes to accepting the practices of ritualism and alchemy as well. Neither seem to carry the stigma they do in other parts of the world, and libraries have been established to help those who are so inclined to learn and research, to say nothing of the Royal Alchemists that serve the Caliph himself. The Caliphate has several metropolitan centers and is by far the least dependent on other nations, though they still can't produce everything they require, particularly after accepting so many refugees. The Caliphate has a great military tradition as well, hosting the only formal military academy currently known in the world. The Caliphate also openly embraces the mystery cult that calls the desert and steppes home. The Desert Screamers are revered as wise men and women who serve a higher calling at the behest of the Caliph. What makes the Caliphate less than desirable? The will of the Caliphate is the will of the land. Though the Caliphate listens to the advice of the people, to openly deny any of the edicts of the Caliph or his advisors is to ask for punishment. Punishment in the Caliphate can be swift, as there is little to no formal justice system. Justice is uneven through the Caliphate. Most local rulers issue their own rulings, and reports of treason are escalated to the military advisor as crimes against the state. The military presence in the Caliphate is a strong one, and the military has traditionally been ready to enforce order whenever and however necessary. The presence of so many refugees from the Sultanate and the Emirate has only made the local rulers and military more strict in their authority. In order to keep the peace, any act of aggression is handled swiftly and harshly. Restrictions of personal liberty is felt now as it has never been before. As such, keeping the peace is difficult, particularly now that there are so many more mouths to feed, and no corresponding increase in the amount of food available to feed them. For the first time in a long time, threats from the South and East are effecting the Caliphate, and a time of turmoil is at hand for the normally stable nation. The Caliphate is, above all, a land of order. When that order is threatened, the consequences can be dire indeed. The Caliphate is a land of civilization and order. The nation is very prideful and considers itself to be one of the foremost cultural beacons of the age. Parallels can be drawn between the Caliphate and the rise of the Ottoman Empire. The lands of the Sultanate are more traditionally Arabic and Persian, while the Emirate is more traditionally Egyptian. The Voyages of Sinbad the Sailor are good fictional references, as well the historical based book Lords of the Horizon. The look of the Caliphate is Ottoman Turkish. The most common colors are shades of yellow and orange. Fine weaves in silks, muslin, cotton, and linen dominate materials; above all, clothes should be breathable. Layers are very important, and tend to be worn in loose, airy styles. Light to medium weight embroidery fabrics are especially common in coats and jackets. Ghawazee-style coats are very popular in women’s clothes; usually the coat is worn over a light chemise top and a pair of loose, solid-color pants. Evil Eye Warding is common, so many Duskers wear small, half-sphere glass pendants that are outer-most blue, then a circle of white, then black at the center (nazar-- google image search will provide results). Weaving and dying is highly sought after and prized, so cloth tends to be very fine and intricate in pattern and design. Cats and spiders are often used in jewelry and as pattern-motifs in clothing. Duskers pay two fewer points for Spear, Glaive, or Halberd. This build cost reduction only applies to one skill purchase. This cost reduction also applies to the Haftmaster style.